To M. Sue Wilson, representing clients through her family law practice is not simply a vocation, it’s how she makes a difference. 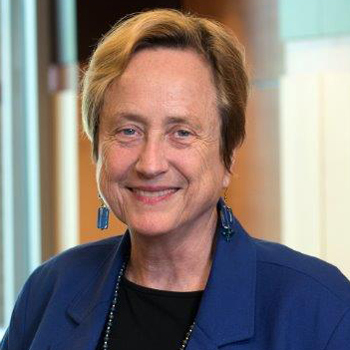 From igniting change in the Minnesota legal system to building one of the state’s largest and most respected appellate practices, Sue has been a beacon in Minnesota law for more than 40 years. Since beginning her practice in 1975, Sue’s unyielding commitment to excellence, her persistence, and her compassion have garnered results for thousands of clients, as well as the respect of legal professionals nationwide. In 1991, Sue received the Lambda Legal Defense Fund Liberty Award for her groundbreaking work in In re Guardianship of Kowalski, 478 N.W. 2d 790. In this landmark case and in many others, Sue courageously persisted; once the legal system caught up, she ultimately prevailed. Strong yet graceful in her approach, Sue lives out her calling to “obtain justice, one person at a time” in every case that comes through the firm. In doing so, Sue regularly advocates for mediation and achieves this outcome in 99% of her cases. For those that cannot be resolved in this manner, Sue brilliantly fights for the right—and best—result for her client. Sue graduated with honors from Stanford University Law School. She enjoys the highest rating from Martindale-Hubbell, and has achieved status as a Super Lawyer® each year since 1998. Stanford University Law School – Palo Alto, California, 1974, J.D. University of Kansas – Lawrence, Kansas, 1971, B.A. Volunteer team member for many “Four-Fold Way” seminars with Angeles Arrien, Ph.D.
Let us know how we can help. Call today: 612-340-1405. I am a lawyer myself, and I hired the firm because of its well-earned reputation in handling tough cases. I was surprised, however, by Sue’s empathy and support during the divorce G. A.